Jake studied the small chick with a thoughtful expression. It’s gray feathers stood out in the sea of fuzzy yellow. “That’s a great name for a chicken,” his mom said with a smile. Jake’s mom peered at the tiny legs and noticed green feathers. “How odd,” she said. “Her name is Pecky Greenleg!” crowed Jake. His mom grinned and headed for the kitchen door. Jake held the tiny chick in his hands, careful not to squeeze. The chick stared up at the little boy, not sure he liked the name he had been given. I don’t have green legs! And…I am not a hen! “Not a hen?” said Jake with surprise written on his face. The chick stared at the boy. The boy stared at the chick. Jake gaped, wide-eyed at the chick. Startled, Jake nearly dropped Pecky Greenleg. His voice was hoarse and shaking. His mom looked at him with concern. He looked at Pecky and could have sworn the bird shook his head. When his mom shut the door, he looked back at the chick. They stared at each other for so long that Jake thought he’d imagined the whole thing. You’d better go in for lunch. 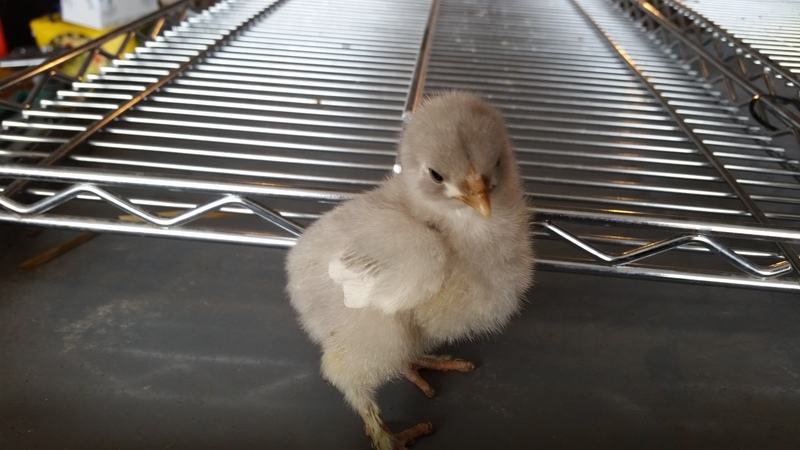 This entry was posted in 13 Skills, Chickens!, Pecky Greenleg, Writing. Bookmark the permalink.